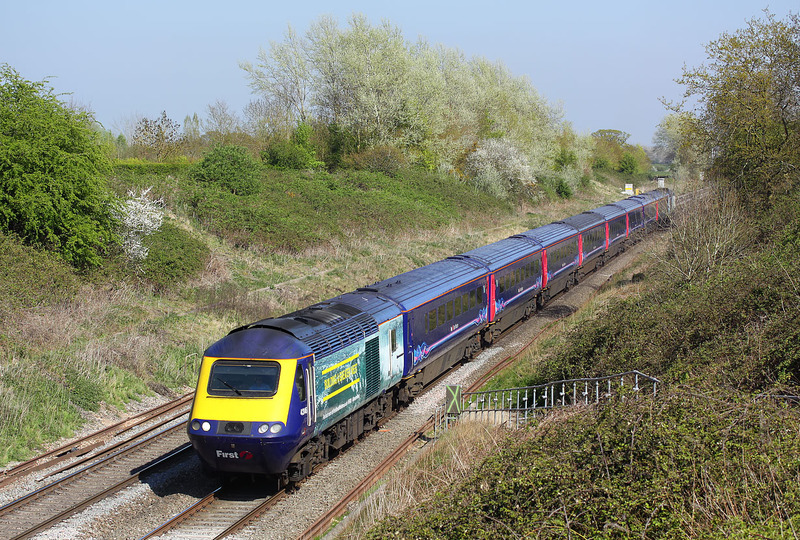 'Building A Greater West' branded 43146 passes Baulking on 23 April 2015 with the 1C18 14:30 Paddington to Weston-super-Mare First Great Western service. Coincidentally, I photographed this power car at the same location a month earlier. This gives a good indication how much the lineside vegetation changes during the spring growing season.